This is part two of my article on how to present your gite website in a foreign language. Part one looked at the budget option: Google Website Translator. You can add it yourself for nothing. Or ask GiteWise to set it up for your site for just £20. As a translator I must say that these plugins and tools are absolutely useless. Online translation still produces gibberish and won’t be helpful at all for readers. Make no mistake, if you want to create the best possible impression, there’s no substitute for setting up a parallel version of your site using content translated by brain power rather than microprocessors. It’s the only way to guarantee natural, word-perfect language, page by page. There’s another convincing argument for having professionally translated foreign language versions of your website. These extra pages of your site will be indexed by Google and other search engines and will help bring more traffic to your site. If that’s important to you, you’ll know it’s worth calling on the services of a professional translator or someone proficient in the target language. Of course, you may even be up to the task yourself, which makes things easy. Or perhaps an obliging bilingual neighbour or friend could lend a hand. If that proves difficult, let GiteWise know and I’ll help you find a professional translator. First, let’s make things clear. GiteWise does not handle the translation of your content. You will need to provide this. My job is to create a foreign language ‘twin’ of your site’s pages that will dovetail with the English ones. I say ‘twin’ but of course you may want to have a German and Dutch version of your site as well as a French version. But, for each language, I create an individual mirror website with the same number of pages as the English original. A visitor can switch between languages from any page on the site and then navigate using the foreign language version or go back to the English version. Above all, we’re aiming for a seamless visitor journey. We don’t want people getting lost or confused. Keeping on top of this can be a little tricky. So I use a premium professional translation management plugin. This helps me set up the foreign language versions and manage the translations. Once it’s all in place, you won’t need to do a thing, but if you do need to update something, you can edit any page in any language just as you would edit the English page. I start by compiling a master document for you of the English text for your site. All the page content, plus captions, page titles, sidebar text and anything else that needs to be translated. A few parts of your site will remain in English only – the copyright footer, for example. But pretty much everything else gets translated. Take extra care. Or risk paying extra! 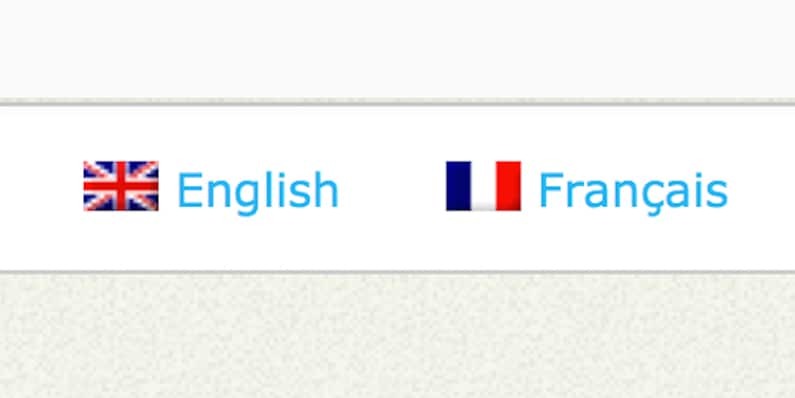 A few essentials to remember when preparing foreign language versions of your gite website. No translation work will begin until you’ve approved the English version of your site. Check every page carefully. Make sure you’re happy with the layout and images as well as the words. Check your English text thoroughly before you give the go-ahead for the translation work to begin. Have someone proofread the foreign language versions before you submit them to GiteWise. I’ll usually spot the odd typo in English, but I’m not so sharp with French or German and totally clueless with Dutch. No one likes doing a job twice. Unfortunately any changes you make to any part of your site after you’ve OK’d the English version means I have to edit each foreign language version as well. I’ll take the odd edit on the chin, but if you make more than a few tweaks, I may come back to you chapeau in hand. In short, £50 for the initial setup, plus £10 per page per language. So for a seven-page website the total extra cost for a French language version would be £50 + £70 = £120. Do your website’s pages take longer to load than it took you to read this? Keep your blog and main site separate or together? Gite web design. There’s more to it than you think. How to choose your gite web designer: Use your loaf. Is your gite website in expert hands or your own? 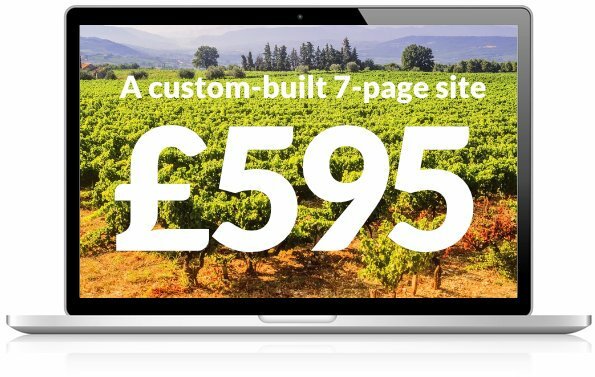 Build your own gite website. Or hire a plumber.